Welkom bij Very Italian Pizza! Bij binnenkomst helpt het team u bij het uitzoeken van een tafel naar wens. What do you mean with great? This pizzeria likes to present things big and elaborate. So you can go here 13 hours a day for the best pizza and Italian food. And is it for a few persons or a little more? No problem! 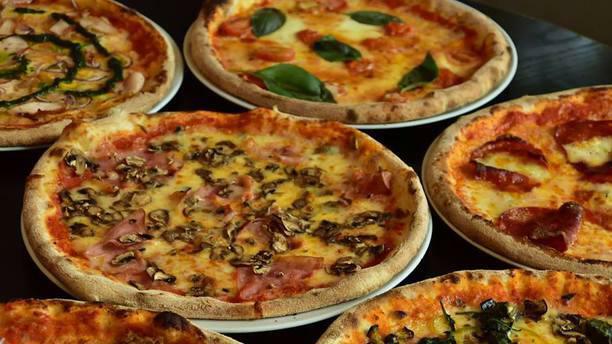 Find 250 seats for anyone who loves pizza. The beauty is that you can enjoy a year-round outdoor Italian cuisine. On the heated terrace you imagine yourself for a moment in a different climate of sunny Italy! Really nice place to eat ! Eten was goed en de bediening top!!! But we waited to long for the main course. A good restaurant with a superb price quality ratio. They serve (with a smile) proper food for a reasonable price. The food was ok, good for the price with AH deal.